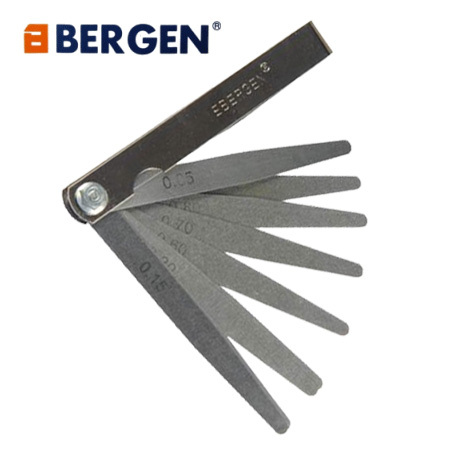 Bergen Tools 13 blade metric feeler gauge. Professional steel construction. 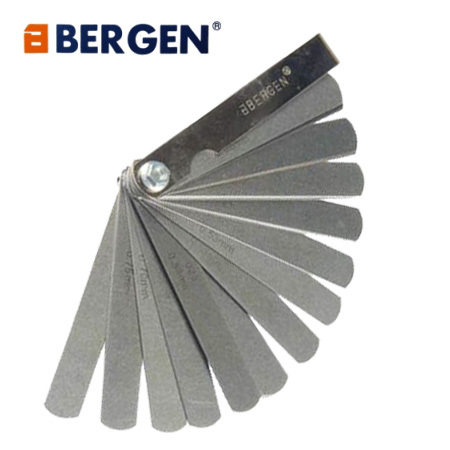 This feeler gauge has metric sizes clearly stamped on each blade. Traditional flick out blade configuration. 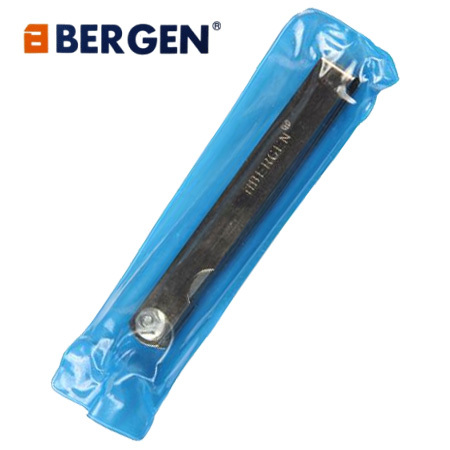 Sizes: 0.05 to 1.00mm, blade dimensions: 95 x 10mm. Customer please note that when removing this item from its protective packaging that it is heavily oiled for blade protection.